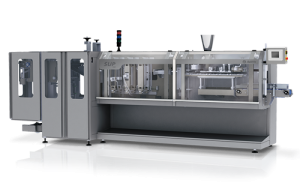 What’s the difference between vertical and horizontal packaging machines? Believe it or not, the difference is actually as obvious as it sounds. A vertical packaging machine is basically a bagger that makes the bag for vertically packaged products, and a horizontal packaging machine makes the bags for products packaged horizontally. When thinking about your primary packaging needs, your product’s shape, size, volume, and package presentation (bag type) determine which type of machine you should select. Of these criteria, the desired bag type is the most influential. What should I think about when deciding between a vertical packaging machine and a horizontal one? No matter the type of machine you are purchasing, vertical or horizontal, selecting the one that aligns with your current needs and future expectations (other products or production expansion, to name a few) is paramount, with particular emphasis on your product’s needs. 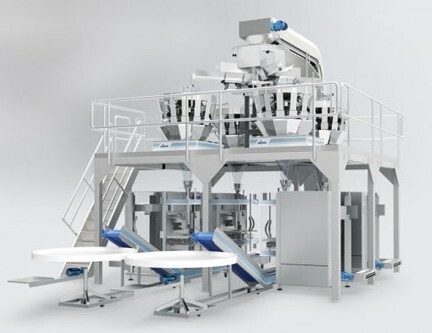 If your product free-flows into its package and can be dropped into it without a particular orientation, then a vertical or horizontal machine can package it; the decision of machine type is dependent upon desired bag type. Examples of products that can typically be bagged on either a vertical or a horizontal machine include potato chips, animal crackers, ground coffee, powders (such as flour) and liquids. If you want a product such as one of these to be packaged in a pillow or gusseted bag, then a vertical form-fill-seal machine will be well-suited for you. In contrast, If you are looking to package a free-flowing product into a stand-up pouch bag (Doypack), then you should consider a horizontal machine as it produces this bag type better. Believe it or not, a horizontal packaging machine actually dispenses the product onto the packaging in a vertical manner, oftentimes. For example, two common types of horizontal machines, flow wrapper and stand-up pouch bag machines, produce the bag horizontally, yet drop the product vertically onto it. After choosing the right equipment, then you should select a provider that can service and supply spare parts in a timely fashion, because you will need good support along the way. After you’ve selected the right machine and a good manufacturer, then you should start thinking about costs, which include the machine itself, the maintenance for said machine and the spare parts that will, inevitably, be necessary. While vertical machines tend to cost less than horizontal ones, you need to make sure that a vertical machine will suit your particular needs. A packaging machine is a big investment and if you buy the wrong equipment, the price paid really doesn’t matter. Do the accessories available for vertical and horizontal machines differ? No; the same types of accessories are available for each type. One accessory is not recommended over another; rather, the accessories that you should purchase depend upon the packaging requirements of your product. For example, if you need to poke holes in your bag to let air escape so that the largest number of bags can fit in a box or larger bag as possible, you can buy a perforator. To prevent your product from sticking to the film when you are sealing the bag, you can buy an anti-static bar to remove static from the film. A gusseted bag may be selected if you are looking for reinforcement or expansion capabilities. A variety of sealing jaws are available for your machine as well, including intermittent or rotary jaws. Adding a gas flush accessory will modify the atmosphere inside your bag; this is used for products that need extended shelf life, as the gas flush will eliminate oxygen from the bag’s atmosphere. To wrap it up, no matter the specific type of packaging machine you are looking to purchase, the most important thing to think about is your current and future production needs. If you package a product where precise product placement is not important, such as rice, then a vertical packaging machine will be a good fit for you. If you package a product where precise product presentation in the bag is important, such as a tray of bread rolls, then a horizontal packaging machine should meet your needs. Purchasing the correct piece of equipment for your specific needs is sure to increase your production effectiveness and efficiency. 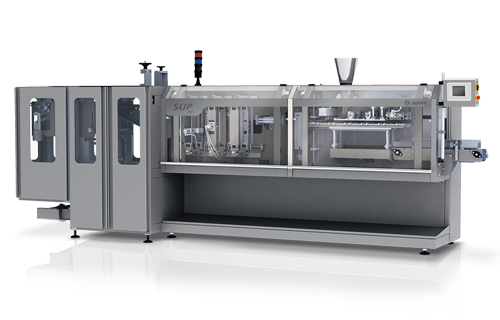 If you still have doubts and concerns about which machine is right for you, consult a packaging equipment specialist to recommend the machine that will best suit your product and packaging needs. Mr. Sanchez is Vice President at Masipack Group, and has 30 years of experience in the packaging industry.